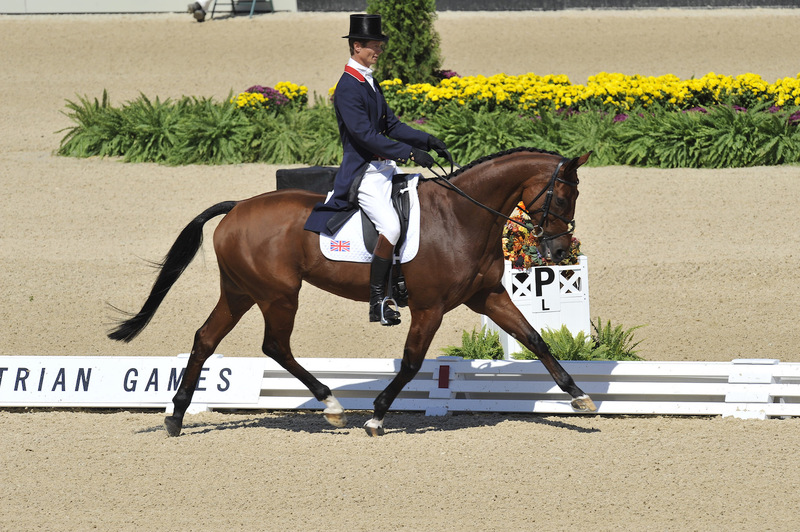 He’s FEI Word Equestrian Games™ (WEG) royalty, and William Fox-Pitt will soon be heading to Buckingham Palace after he was awarded an MBE in the Queen’s Birthday Honours over the weekend. Just three months out from WEG, the man who helped Great Britain to team gold in 2010 and silver four years ago, believes his nation has a great chance of further Eventing glory in Tryon. Fox-Pitt, on Cool Mountain, teamed up with Mary King, Nicola Wilson and Tina Cook to secure first place the last time WEG was on American shores. With WEG again on the horizon, beginning on September 11, William says that he thinks you could expect to see Germany, France and the UK on the podium if nothing too untoward happens. “The Brits were rank outsiders for the Europeans and they won,” he says. “Who knows what’s going to happen. GB could be on form. “Tina Cook is right up there with a good chance, so is Nicola Wilson. Maybe Laura Collett could have some horses. “The French deserve some serious consideration, who had rotten luck in Gothenburg. They have a very strong squad – not a big squad – but if things go their way they could surprise us. 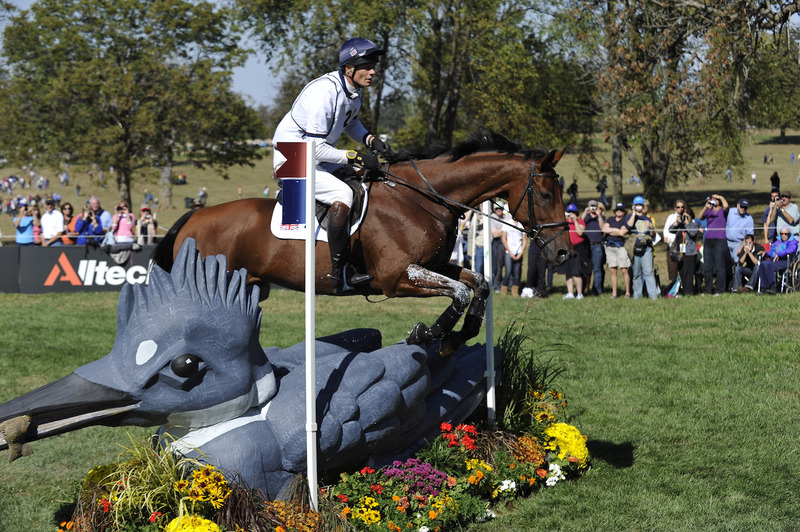 As one of the most successful Eventing riders in history, William has had the privilege of competing at almost every event under the sun, generally on multiple horses. He’s achieved everything that an Eventing rider could wish to achieve (with the sole exception of an individual Gold at the Olympics). So what is it that keeps him coming back? Speaking with the modesty that he’s come to be well known for, he continues: “I look at my career and I’ve been so, so lucky and I’ve had a lot of great times and I’m not really hankering after anything. An Olympic gold would be nice but I don’t think it would be life-changing. “So what’s keeping me going?” he asks, almost to himself. “Well, I think I just love...I really enjoy the sport. I love my horses. It’s something I’ve always done, I think it’s something that’s probably just…in me. It’s probably a bad habit! I’m addicted to the highs of the sport. “I don’t think anyone is addicted to the lows..but there’s very few sports that give you the adrenaline rush that eventing does, and so few sports that require the skills, the bravery and the relationship with another animal. “When you’re done I don’t think anything else comes close really. A national hunt jockey might get it, an F1 driver might get it, or a downhill skier but not many others get the real highs that we get from our sport. “Now I’m just enjoying my young horses, bringing them on. I love training them, working with their ups and their downs and it’s always been a challenge that I’ve relished." We all know by now about the scary side effects William suffered after a fall that left him in a coma in 2015. It’s hard to think that a fall with such serious repercussions wouldn’t change your perspective a little bit, and William agrees. “The brain injury made me think a bit more, query a bit more…I caused a lot of pain and aggravation for people close to me,” he says. We had to finish off with a chat about Tamarillo’s clone, who has been quietly making progress at William’s yard. Speaking about Tamarillo, it’s easy to see that he was more than just a horse for the WFP team. “Tamarillo was excellent of course,” William says. “He sadly passed away a couple of years ago, and Tomatillo…well, he’s a wonderful fellow. When Tomatillo was initially cloned, it wasn’t allowed for clones to compete, so it was purely for interest sake and slight nostalgia on the part of the breeders. They were just really interested in having his bloodlines to pass on, so it was never done for competitive reasons. Now, however, that rule has been lifted and as Tomatillo is 4, he’s been sent to William to be backed and produced. Of course, the question had to be asked…exactly how similar are they? “They’re not exactly the same,” William says. “We know that with clones sometimes markings are a little bit different so there are slight differences here and there. “Tamarillo had a very Arab head, Tomatillo doesn’t…he has a very nice head, but not that real dishy Arab-y head. And he’s much smaller, which is a shame. “Tamarillo was definitely 16.2hh, but Tomatillo is only 16 hands now. Of course, he will be smaller as a stallion, but he’s got his work cut out if he’s going to carry me far. “At the moment he looks a bit like a pony who I’ve grown out of.” It didn’t hold Mark Todd back on the legendary Charisma though, so maybe there’s still hope for them! Putting aside Tomatillo’s questionable ability to carry all of William’s 6’3 frame, there are some uncanny similarities between the two, as one might expect. William says: “Tamarillo of course grew up with this skittish Anglo-Arab for a mother, very flighty and very spooky. “Tomatillo grew up in completely the opposite way. He was born in Kentucky with a pretty bomb-proof Percheron as a mother, so their ‘upbringings’ were totally different. “But funnily enough, there are many, many similarities. You know, Tamarillo was well known for being very, very spooky. "He was incredibly scared of men too, very suspicious and had quite a few weird characteristics that Tomatillo also has. Tomatillo is still spooky. He’s not as bad as Tamarillo luckily, but he’s a spooky, jumpy type. "He’s not keen on men either and looks at me like I’m an alien who dropped out of a cloud somewhere, so I’ve got a boy working with him now to try and improve that…and he’s very lazy except in the country. “Tamarillo was absolutely bone idle unless he was going cross country and this one’s the same; very lazy but very able. The only thing that remains to be seen is what mount he’ll be adding to his ever-growing collection of titles aboard one of his talented youngsters, or if he’s destined for greatness on Tomatillo…and what a story that would be!